MINI Cooper Acccessories + MINI Cooper Parts :: OutMotoring.com MINI Blog :: MINI Accessories :: Cursive Turbo Badge for MINI Cooper! 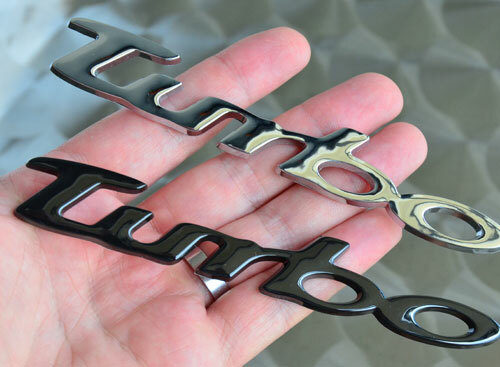 "Turbo" badge in cursive letters. Available in Black or Chrome. Consider it the perfect way to remind yourself and others what drives you. Adheres with pre-installed double stick foam tape. Comments on Cursive Turbo Badge for MINI Cooper!